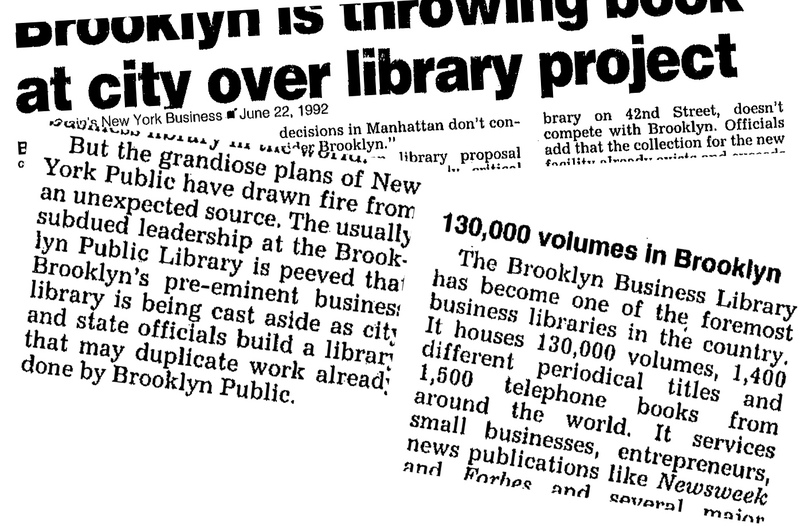 Do you know that in the 1990s, not so very long ago at all, New York City substantially augmented its library resources by spending to create more library space at two major central destination business libraries simultaneously? And, if you rewind the clock, looking at one of those libraries, the Brooklyn Heights Association was in the thick of things fighting for more library space. . .
. . Now, as fate (or the real estate industry) would have it, both of those central destination business libraries are besieged by those who would sell them, hand them out as juicy deals. 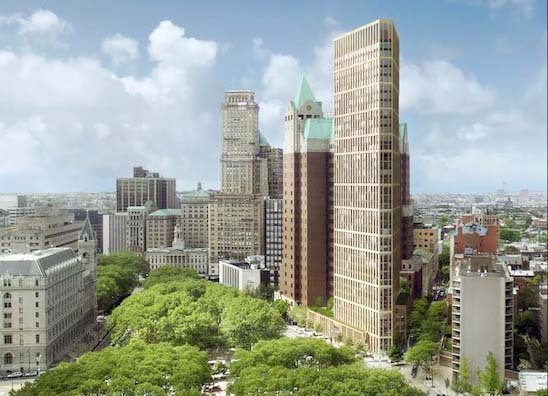 . . And, for reasons that seem suspicious, the Brooklyn Heights Association now finds itself on the other side, advocating to shrink the library it once fought to enlarge. 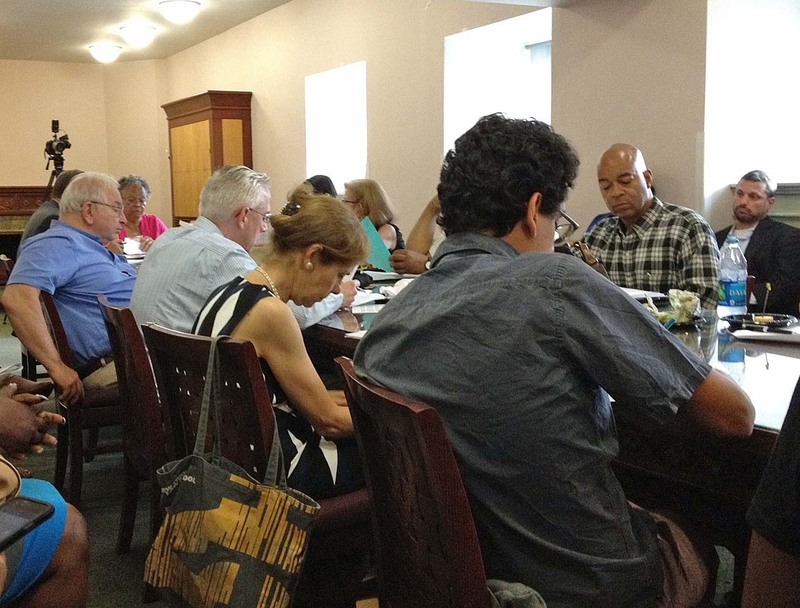 Wednesday June 17, 2015 was the first ever hearing about selling and shrinking a NYC library, the Brooklyn Heights Library, Brooklyn's central destination library in Downtown Brooklyn on Cadman Plaza West at Tillary and Clinton, was held before the Land use Committee of Brooklyn’s Community Board 2. "I will take that up with our library committee, which is how we operate, and if the library committee feels that it wants to revisit the question, then I will take it to the full board," Bowie said. Bklyn Hts Blog: Who do you support? The BHA’s original decision to support the sale and shrinkage of the library was rushed, secretive, lacking in public input and suspect in a number of ways. We have asked the BHA to change course from the start, including at the previous, 2014 BHA annual meeting. Back then, as well, it was very clear that public sentiment was strong on our side. I am sure Mr. Killackey believed I came on strong as I approached him after the hearing, and I probably did as I was very annoyed that at the hearing the BHA had just delivered inane testimony in favor of selling and shrinking the library Ms. Bowie herself standing to read it into the microphone. Mr. Killackey may also have felt beset upon under the circumstances, because the hearing that had just concluded was packed with people. Setting aside those people whose salaries (via the real estate industry or closely analogous situations) depended upon the testimony being in favor of a library sale and shrinkage, the hearing testimony was virtually unanimously opposed to selling and shrinking the library, leaving the Brooklyn Heights Association an odd outlier. People told me they left the hearing more passionately opposed to the library sale and shrinkages than when they arrived. This was after listening to Brooklyn Public Library president Linda Johnson protest to a groaning audience that “the BPL is not in the real estate business.” And it was after hearing the developer refuse to say what Saint Ann's school is being paid as a result of the library’s sale and shrinkage because, he averred, “it's a private transaction” . . . even though it is driving a public one! I told Mr. Killackey that the BHA should be meeting with Citizens Defending Libraries and that we could educate the BHA about what was wrong with their position and the way that it had been reached. Mr. Killackey seemed insulted and told me that I didn’t know anything about him or what he already knew about the library sale. We then got into a discussion where Mr. Killackey made the point that NYC libraries have always been underfunded and have always had to fight for funds. 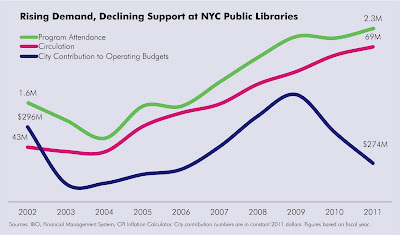 I have had a number of discussions with various people recently and it seems to me that this is a talking point that people arguing for the sell-off and shrinkage of libraries are now using to contradict what we have made a point of saying: NYC libraries are being underfunded at an unprecedentedly low level as an excuse to sell them off. The explanation for library underfunding! 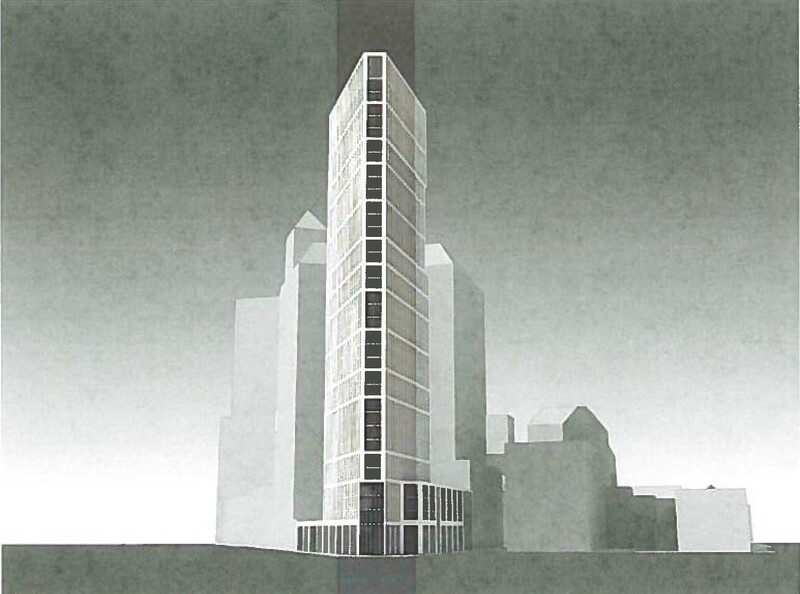 It's easy to see: The generation of deals like this, the 50-story building replacing the Donnell library. 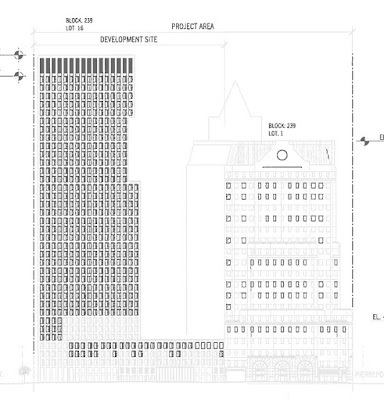 And the proposal to replicate the Donnell sale swindle with a 38-story building replacing the Brooklyn Heights Library. If you see things the way we do then what seems to be a very hard thing to explain becomes easy to explain: You ask “why should a `progressive’ mayor be engaged in an unprecedented underfunding of the libraries in a time of plenty?” - Then you look at the huge luxury condominium tower proposed to replace the Brooklyn Heights Library, shrinking it down to one-third size, and you say that’s the answer staring me starkly in the face! And the answer is all the more obvious when you realize that the real estate development team “lurking right behind the curtain” to build it is sending money to the mayor. 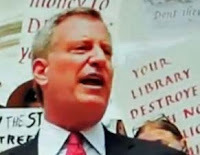 See: Saturday, June 6, 2015, WNYC Reports Mayor de Blasio's "Furiously Raising Funds"- Including From Developers "Lurking Behind The Curtain" of Library Real Estate Sales- And WNYC's Money? Mr. Killackey is correct that there is a history of libraries needing to fight for their funds from the city, just as every department or entity seeking city funding fights to justify its case for funds. But the libraries never before had to fight for funds so that underfunding wouldn’t be a reason to sell and shrink libraries. 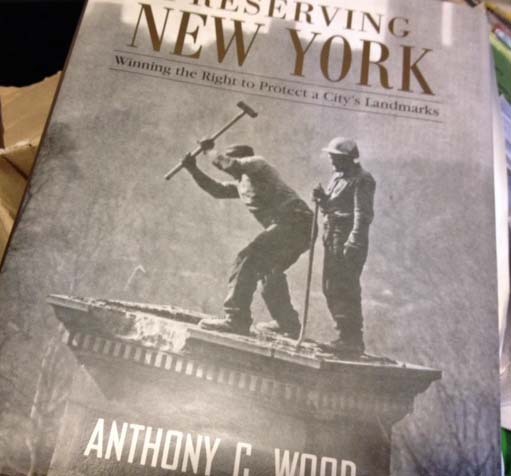 Au contraire, in the past, libraries were fighting for funds to expand. And fighting for funds to expand vs. fighting for funds not to sell and shrink libraries is hardly an apples to apples comparison. 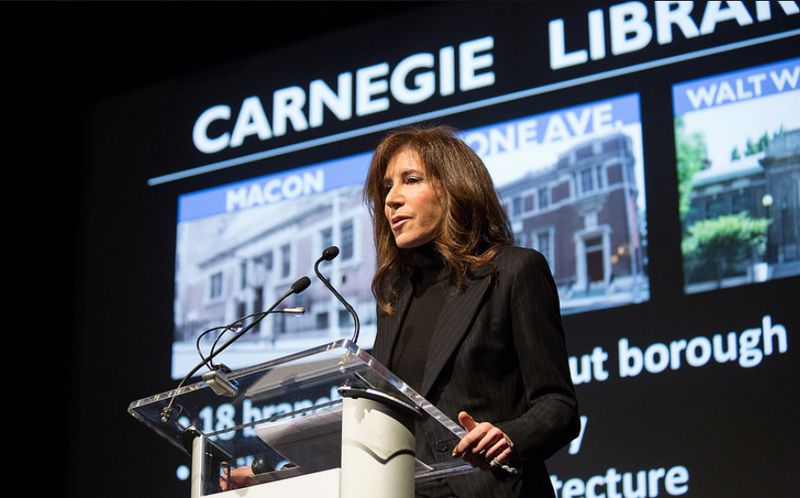 Two central destination libraries (the Downtown Brooklyn heights Library and SIBL) that were both funded at the same time, both with a special focus on business. The facilities for library patrons were thus mightily expanded, an embarrassment of rishes. And now both may vanish at the same time? 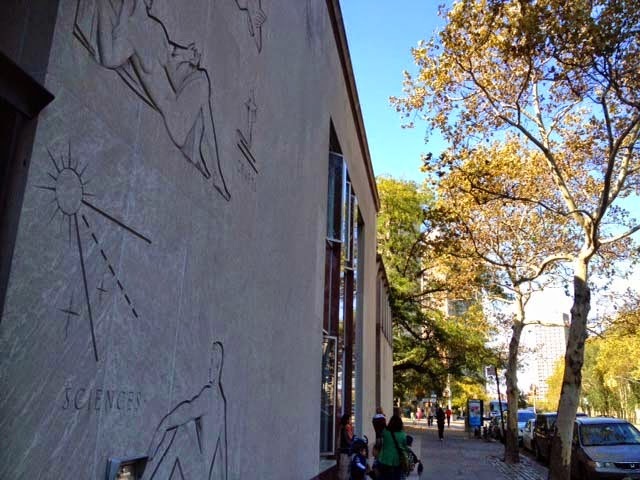 The usually subdued leadership at the Brooklyn Public Library is peeved that Brooklyn’s pre-eminent business library is being cast aside as city and state officials build a library that may duplicate work already done by Brooklyn Public. Not to worry: Both central destination business library expansions were fully funded and completed in the end. 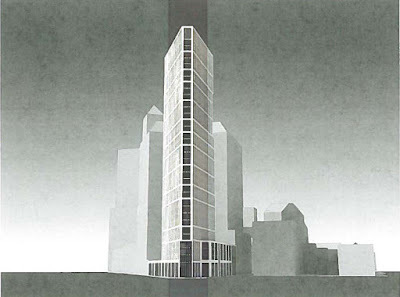 In Manhattan, SIBL moved forward to completion, opening in the spring of 1995. It’s 160,000 square feet of new additional library space cost $100 million (consider adjusting that for an equivalent in today’s dollars). Reverse Course On Both Business Libraries- Simultaneously? 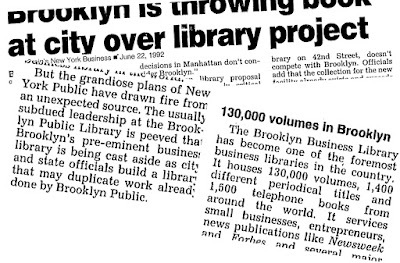 The Crain’s June 1992 article discussed to what extent these two libraries competed with each other, duplicating services, but what library patrons got was investment and expansion of such services at both sites simultaneously. Now, with a proposed concurrent sale of both libraries, library patrons would lose services at both locations simultaneously. . .
. . In fact, part of SIBL has already been sold. In 2012 the NYPL quietly sold off 87% of SIBL’s space for just $60.8 million. What it sold off was space where books could be stored and readily retrieved from. With the sale books disappeared from the site, most of what in the 1992 Crain’s article NYPL president Timothy Heally described as SIBL’s “overused . . business and science collection” of 2.5 million volumes. Librarians tell us many of these volumes now take appreciable extra time to retrieve for patrons because they are in Chicago. 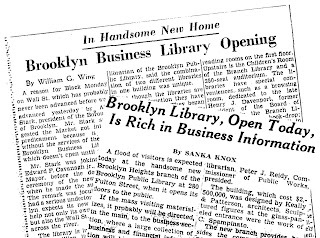 According to Crain’s, SIBL was also “a depository for patents and government documents from not only the United States, but nations of the European Community.” Similarly, the Brooklyn library enlarged in 1993 was a designated Federal Depository (and still is). Visit SIBL at 34th Street and Madison and see what you find there. It continues, in beautifully designed fashion, to have every imaginable resource that a library intended to provide a platform for and to work with computer resources is supposed to provide. Although SIBL’s book count has been devastatingly diminished, it has expanses of currently empty shelves that could be refilled, this at a time when library circulation is up about 60% with almost all of that increase being physical, not digital books. 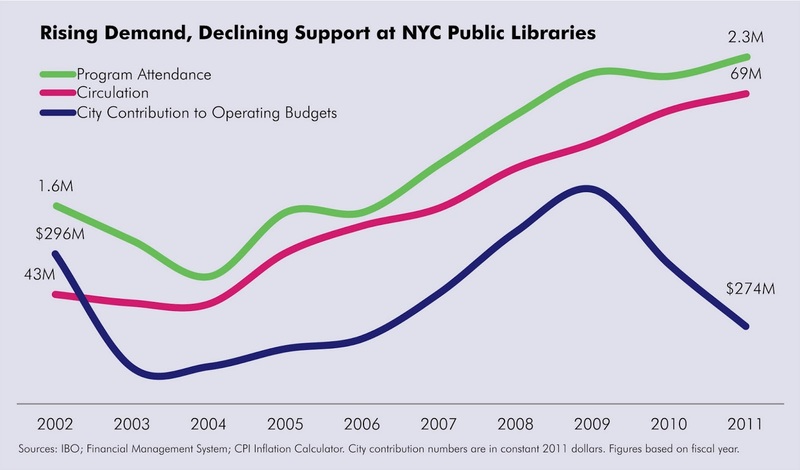 As Mr.Killackey says, I don’t know what he knows, but what he knows seems to ignore how, at approximately the same time, just after Bloomberg got his third term, he dramatically started cutting funding to libraries even as library use was increasing greatly. The de Blasio administration, proceeding with library sales, has not restored those cuts. The expansion of the Brooklyn Heights library with the 1991-1993 construction effected an increase to the library’s space for which the Brooklyn Heights Association had been fighting for a number of years. 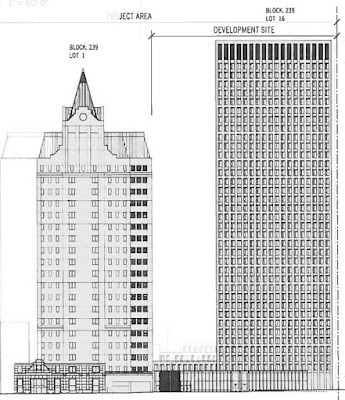 In 1985 when the Brooklyn Heights Association was fighting Forest City Ratner’s huge new One Pierrepont Plaza building planned for erection next to the Brooklyn library as too “bulky,” a deal was reached allowing the Ratner building greater height in exchange for cutbacks at its top and Ratner’s promise to give 12,000 square feet in the building to the library for it to expand into. This sweetener was intended to deal with the overcrowding at the library’s adjacent site. (See: Pact on Brooklyn Tower Reached, By Josh Barbanel, October 25, 1985.) Ratner’s building was completed in 1988. 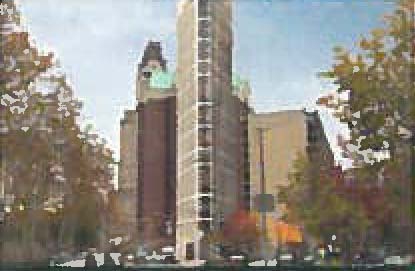 Ratner’s 1985 offer of library space as a sweetener to induce approval for a bigger development is reminiscent of how in discussions of transforming libraries into mixed-use redevelopments there has been crass frankness about the manipulative offer of libraries as a “placating gesture” to get the public to approve greater development. 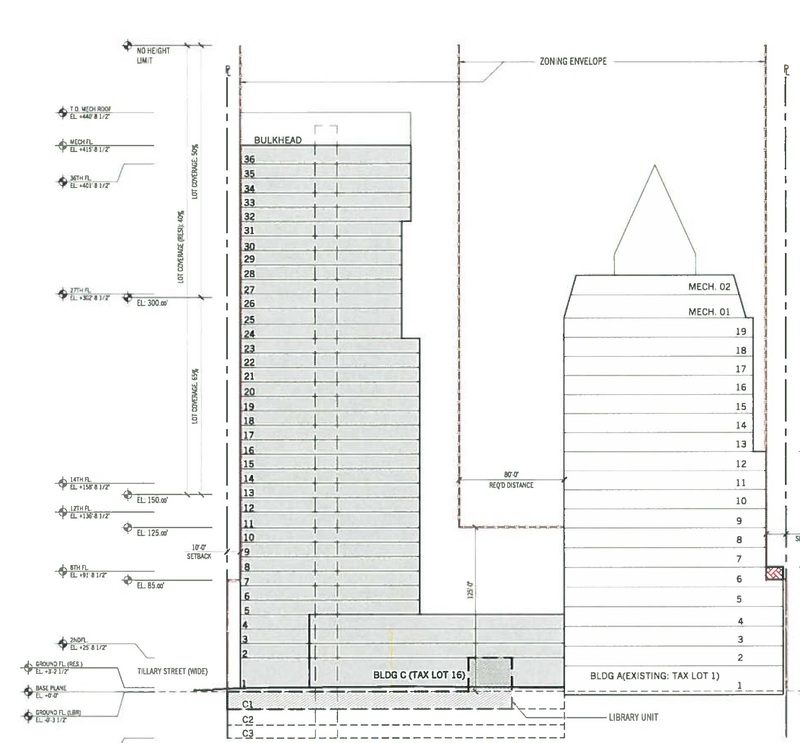 More recently, Two Trees Development offered the public 15,000 square feet of new library space in its BAM South luxury tower as sweetener for a substantial increase in the size of the permitted building, a deal handed out to it from the city by the Bloomberg administration that, like the 1985 Ratner deal, was given away without a bid. The proposed luxury condominium tower that would squash the library down to one-third size dwarfs the adjacent1988 Ratner tower and has no cutbacks. At a June 10, 2015 BPL presentation to Brooklyn's Community Board 7, Mr. Woloch assured members of the Sunset Park Community that if its library is torn down for redevelopment into a mixed-use facility there will be no bait and switch, that what is promised will be built. The Sunset Park plans were first disclosed here in Noticing New York with the BPL catching up to give out information afterwards. In a sense there has been a victory in that for the first time since Citizens Defending Libraries has been on the scene a library being sold is proposed to be enlarged, in this case to 20,600 square feet, virtually the same size the central destination 63,000 square foot downtown library is proposed to be shrunk to. 1. As one of the CB2 Land Use Committee members noted there is no way to assure that net funds, if any, would actually go to such funding of other libraries. There is no way to track it through or assure that New York City, to whom the money would go, would actually give more money to the libraries as a result. The city could actually just give less overall to the libraries. There is only the vaguest idea that morally money ought to come back to the libraries, but the libraries are already funded at an immorally low level, below what was compacted with Andrew Carnegie when he gave libraries to the city. What's more, if low funding translates this way into hand-offs to real estate developers, we are only apt to see more of this kind of low funding in the future. 2. The BPL is being totally untransparent about how there will be virtually no net proceeds from the sale of the library. It may wind up with a negative cash result. The BPL is disguising, underestimating and refusing to acknowledge the costs that must be netted out of the transaction. Given the recent announcement that Saint Ann's School will not purchase the space originally assigned to them, we urge the Brooklyn Public Library to consider negotiating with Hudson for additional space in the building. In the event that the underground space is unsold, we welcome Hudson's plan to excavate less of the site. If the reverse-course shrinkage of this library is truly the colossal mistake most people think it is and the library should therefore be larger, or if in the future it's determined the library should be larger because the city, borough, central business district and surrounding residential neighborhood are all growing fast (which they all are) there is a problem: Stuck in the bottom of a residential luxury tower, the library can never be enlarged afterwards. * Yet the BHA suggests negotiating for a larger library, but is ready to just shrug if those negotiations don’t work out? Come now! How contradictory can you get? Perhaps more important, the BHA’s mention of Saint Ann’s School in its testimony is deceptive. It makes it sound like Saint Ann’s was paying for the space it was getting in the building rather, than as was the case, being paid with the transfer of that space for its development rights. Remember the developer refusing to say how much Saint Ann’s is being paid? The BHA’s wording also makes it sound like Saint Ann’s School was no longer going to be involved in the transaction, a misleading impression the developer and BPL apparently tried to foster right before the hearing. 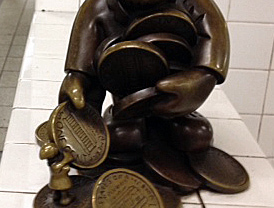 If fact, it must be recognized that private Saint Ann’s School is getting a substantial pay day due to the fact that because the library, a publicly owned asset, is being sold and shrunk, Saint Ann’s can sell its development rights free-and-clear without the nuisance and cost of having to demolish and reconstruct its own building. Who were the BHA’s library deciders, that core to the BHA committee that passed its judgment that the library should be sold and shrunk in this developer-pleasing transaction? BHA board member library deciders conferring at the June 17th hearing- Both on the BHA's library committee- Right Alexandra Bowie who delivered testimony- Left Erica Belsey Worth high-end architect and Saint Ann's parent. 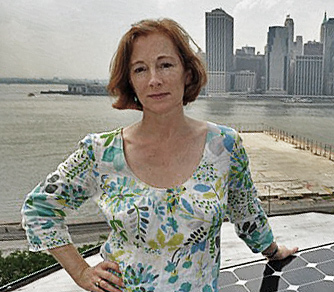 Alexandra Bowie, who operated with great secrecy at the beginning, was one of them. Some years ago when Ms. Bowie was still President of the BHA and Mr. Killackey was still an unelevated board member, my wife and I tried to express concern about what Ms. Bowie had said to us about the users of the library that came to the library from the nearby projects. Mr. Killackey was dismissive of our concerns. Frankly, this is unfair and lacks proper process. 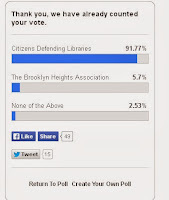 After the hearing the CB2 Land Use Committee deadlocked and did not vote to approve the library sale and shrinkage. One reason expressed by committee members was the lack of any true assurance that any funds, net or otherwise, from the sale and shrinkage would actually go back to the libraries. That concern took hold despite the fact that the BHA blithely ignores that problem. Another reason expressed was that the committee had previously voted not to approve any big new developments until the infrastructure problem of local school PS8, at 140% over capacity is attended to. . It was recognized that voting to approve the transfer of the public land to build this tower would have overridden this stance established by the committee’s previous vote. . .
. . . What we see is a worsening imbalance as we try provide the public infrastructure necessary to keep up with development as privatization of once-public assets accelerates with transfers such of these. The deadlock was apparently unexpected, the BPL and the developer having timed their progress in requesting a vote to their belief that with behind-the-scenes lobbying they had locked up the votes they needed. 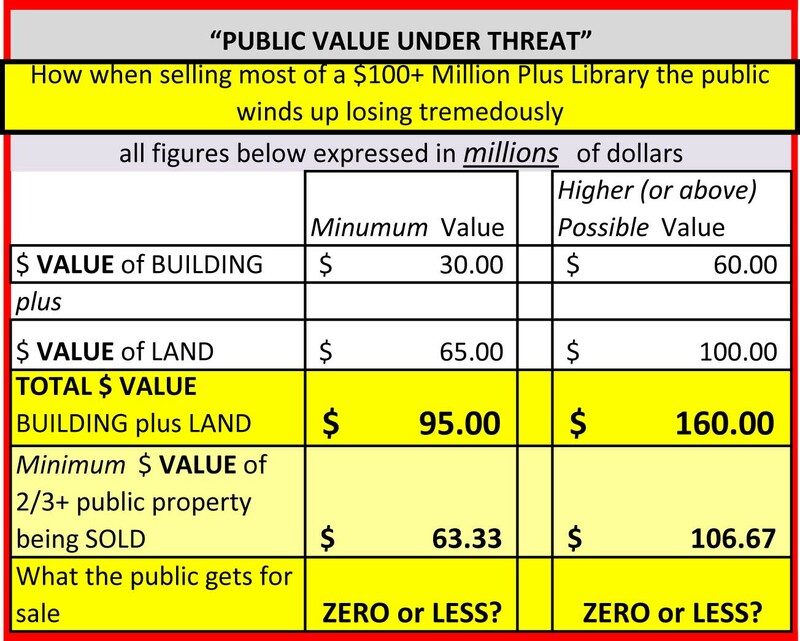 Hopefully the committee was also influenced in its vote by: The public testimony; the BPL’s total lack of transparency with respect to this and other proposed library sales; and the value of the asset being sold versus the insanely low price for which it would be sold off. As the CB2 Land Use Committee debated its vote there was kibitzing from the some public in attendance calling attention to the fact that two of the CB2 Land Use Committee members are salaried employees of the BHA. It was asserted that these two members should recuse themselves and not vote. That’s an interestingly hard call to make because at that very moment those two members seemed to be doing the right thing and making the right points about why the proposal to sell the library was a problem. But if the two members who are employees of the BHA were to recuse themselves it could wind up in essentially the same place because a majority of affirmation votes is required for the committee to approve the sale and shrinkage and recusals, like negative votes or abstentions would all similarly subtract from that required total. The CB2 Land Use Committee is going to be asked to vote on the proposed library sale and shrinkage yet again. 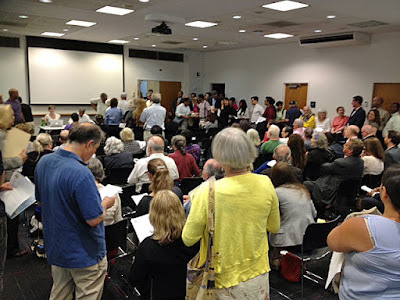 At the June 12, 2015 CB2 Executive Committee meeting, CB2 Chair Shirley McRea announced that approval of the proposed sale and shrinkage of the library was being sent back to the committee referring to “an email from the board office.” Chair McRae said that July 6th was being looked at for the date for the new committee meeting, but that they were having difficulty setting it up. Following the committee meeting she said it was planned that the full CB2 board would take up the matter July 15th. Now the follow-up meeting to last Wednesday’s meeting, and everyone needs to be very clear on this, the public hearings are closed, There are no more hearings on the BPL. It’s over. It's done with. It was done on Wednesday. When this committee meets next it will be to do what they were supposed to. . What should have taken place, what should have taken place at last Wednesday’s meeting without having sat there for three, four, five hours and then trying to come to some decision. I just want everyone to be clear on that: It is not a repeat of the public hearing. This is for the committee now to come together and do the business of the committee. 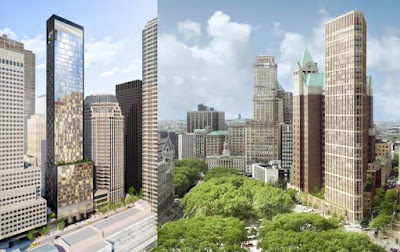 Maybe the “hearing” is technically over, but that Wednesday the 17th, immediately the hearing, the developer was lobbying the committee members to change their votes, so it is not as if the CB2 land Use Committee isn’t still hearing things from the developer. Hopefully, they will also still be hearing things from the public and it would be nice if one of the things they hear was the Brooklyn Heights Association admitting their decision was seriously flawed and wrong and admitting to the position that we should not be selling and shrinking a valuable library for a pittance. The BHA we should stand up with us and the rest of the community against these deals that don’t benefit the public, but do benefit private parties with private interests antagonistic to the public’s, a developer sending campaign contributions to the mayor and a private school. 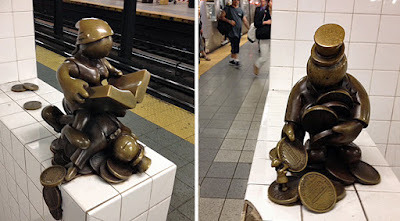 Two Tom Otterness sculptures at the 14th Street Station on the A-Train. Which way will the library struggles turn out? With book lovers on top? Or with all our public wealth transferred to the monied interests who will dispense a few pennies as handouts? Here are some new images, released in an information dump just before Wednesday’s Hearing (the 17th) on whether the public should approve the sale and shrinkage of the Brooklyn Heights Library, Brooklyn's central destination library in Downtown Brooklyn on Cadman Plaza West at Tillary and Clinton. Guess what? 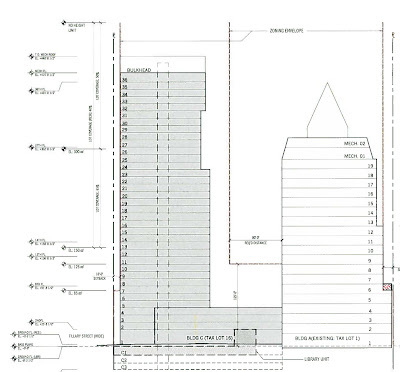 : The new tower is not the 20-story tower or the 30-story tower previously reported about in the press. 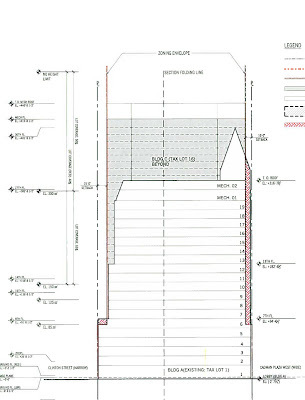 It seems to be 36 stories (perhaps, with super-high ceilings, the equivalent of a taller building) with leeway in its zoning envelope to grow. Here's a crop a little more in-between. 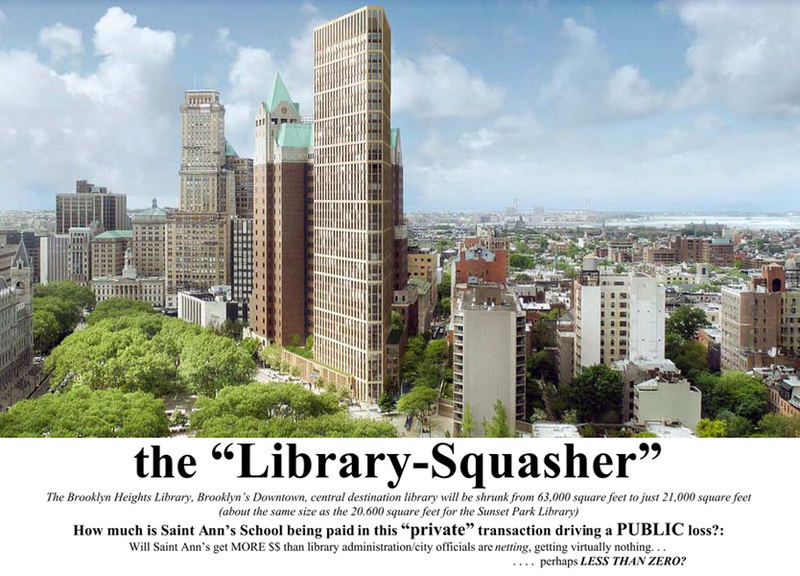 Meanwhile, quite relevant to what’s unfolding, there’s an article in the Brooklyn Heights Blog about Saint Ann’s, a private school, and its transfer of library development rights to this development. Saint Ann’s is taking cash and no longer taking any property for its involvement in this transaction. What is reported in the Blog does NOT mean that Saint Ann's won't be benefitting from the deal, or that the benefit to Saint Ann's won't continue to HELP DRIVE this deal: Saint Ann's, selling its development rights, will still be getting very substantial cash (with which it could even subsequently buy that cultural space condominium Mr. Kramer, the developer, offers in the Blog article)- This information comes out just days before FIRST EVER hearing this Wednesday. That hearing starts the process to decide whether public approval should be given to sell and shrink a major NYC library, this one. Previously it appeared Saint Ann’s was getting cash and property for its development rights. That property could have been a 20,000 square foot student theater. Based on these calculations, that theater (of "the an absurd public rip off") might have had a value of about $41.7 million. So what is Saint Ann’s now getting? : That ($41.7 million) plus more cash? Maybe $50-$55 million free and clear? 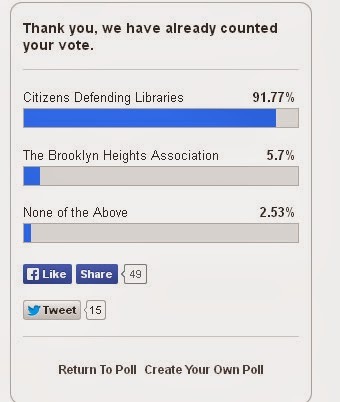 While the Brooklyn Public Library nets considerably below $30 million? Perhaps effectively less than ZERO? If these guesses about who is really getting the most benefit, a private school or the public, seem unfair, remember that this is information that Citizens Defending Libraries (of which I am a co-founder) has asked be disclosed by the BPL. The BPL devoted to its infinite lack of transparency has refused to provide the information. • Sunday, June 14, 2015, Selling a $100 Million Plus Library For What? A Pittance! More Transparency Please. 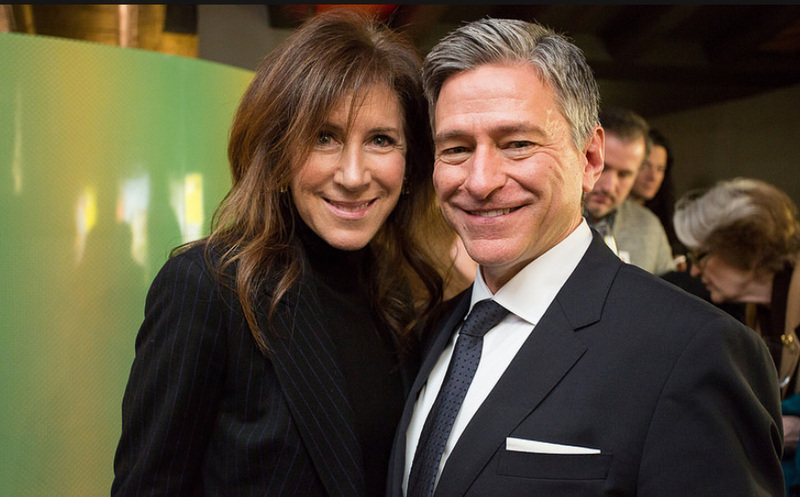 • Saturday, June 6, 2015, WNYC Reports Mayor de Blasio's "Furiously Raising Funds"- Including From Developers "Lurking Behind The Curtain" of Library Real Estate Sales- And WNYC's Money? I used to be a member of the Municipal Art Society. I used to routinely encourage others to become members as well. But now. . . . I actually had a sort of extra-specially identification with the Municipal Art Society, a “born under the same star” thing. The Municipal Art Society, with a long venerable history, was given birth to “in the wake of the World's Columbian Exposition, when the Great White City in Chicago ushered in” a new era of expecting more and better for New York in terms of its urban design. Those are interests of mine. 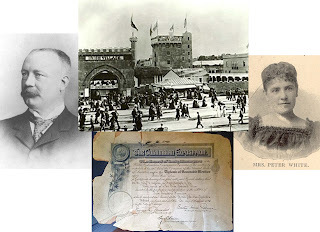 My father’s paternal grand parents, Mr and Mrs. Peter White, were key in establishing and running the Irish Village that was part of that same 1893 Columbian Exposition, and their coming to the United State to do so is how the White family arrived here from Ireland. I don’t know that this gives me greater or lesser rights to be irked with what the Municipal Arts Society has become, but , like many others, I am mightily riled. As it happens, a MAS board member told me ahead of time about the 180 degree turn around that for MAS that was intended. Not everyone has perceived it yet, but people are fast catching on to what’s happened: Once part of the fight against such abominations as Atlantic Yards, (“the poster child for what goes wrong when process is ignored. . . a poorly designed project that has polarized the community and that squanders both opportunity and public trust”), MAS now goes out of its way to give multiple bogus awards for such developer-driven blighting of the city. The 63,000 square foot Brooklyn Heights central destination library in Downtown Brooklyn. The admired bas-relief murals are by C Spampintato. At MAS’s February 26, 2015, Annual Members Meeting, MAS has continued to adulterate its its brand promoting, rather than holding to account, unbridled development, this time giving Brooklyn Public Library President Linda Johnson a platform to pitch unchallenged for another prize currently being eyed by the development community: sale and shrinkage of libraries to transform them into real estate deals. These deals benefit the developers they are handed out to, not the public. 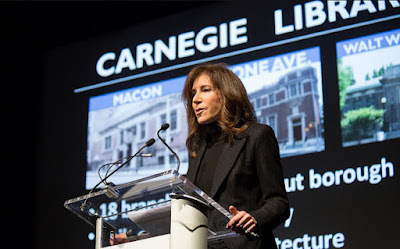 As BPL President Linda Johnson spoke at the annual meeting MAS already had the Brooklyn Heights Library sale up and prominently featured on its website “Watchlist.” There the proposed sale was advertised, not accurately, but as a developer would probably prefer to have things described to stay low on the radar screen and sidestep public opprobrium. • The description said this joint venture will provide BPL with a more modern library “on the ground floor.” It doesn't say that it will be a vastly shrunken library providing fewer functions, only 21,000 square feet (of which only 15,000 will be above ground- “on the ground floor” per the description) vs. the existing 63,000 square feet. The Business and Career functions of the library will be banished from it. Books will be exiled. • The description said that the sale will provide the BPL with “an additional $40 million,” a figure only achieved by deliberately low-balling and not disclosing all the costs and public losses that need to be netted out. 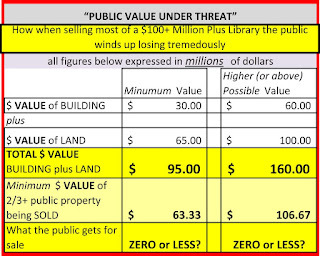 In actuality, in selling the library and shrinking down this $100+ million asset to one-third size to benefit the developer, the BPL is likely even losing money when all is considered. • The description said that the money netted from the sale will be “put towards maintaining and restoring other libraries in the borough.” In actuality, the money from the sale goes to the city and there is no assurance that it would ever be returned to maintain and restore other libraries. The only obligation to do so would be a moral one, and since the city's current unprecedentedly low funding of the libraries is already immorally low there is no assurance such moral suasion would work. Quite the contrary, since the current low funding levels go back to the introduction of plans for low funding to justify such self-cannibalizing funding schemes, if low funding leads successfully to the sales that real estate industry salivates for there will actually be an inducement to continue such low funding level to provoke more such sales in the future. 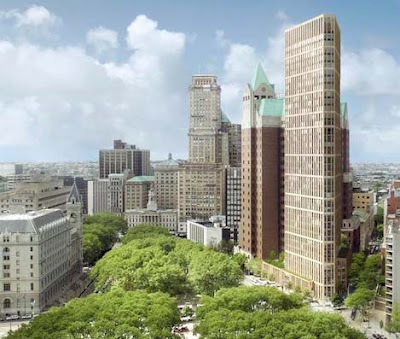 BPL has partnered with Hudson Companies to build a 20-story condo building on the site of the current branch library at Cadman Plaza. This joint venture will provide BPL with a more modern library on the ground floor, as well as an additional $40 million to be put towards maintaining and restoring other libraries in the borough. This innovative project is part of broader trend of leveraging development to pay for civic assets. I am pleased to be here. I feel sometimes that I'm speaking more about real estate these days than I am about literacy, . . .
. . . but we need to actually address the real estate issues in order to deliver the services that the library is striving to do. Ms. Johnson later similarly soothed the audience about how she cares about adequate library size when she explains that libraries built during the Lindsay era that are "on average 7500 square feet which is woefully small." Ms. Johnson doesn't tip her hand to the audience to say that one of contradictory priorities was to shrink such a "woefully small" 7500 square foot library in Red Hook down to just 5,000 square feet in a privatizing handing off 2000 square feet of the library to Spaceworks in a scheme that deserved and got a lot more scrutiny from the local community than Ms. Johnson wanted. Ms. Johnson indicated that she is attentive to the concept that "because of the way neighborhoods have changed" there are "libraries that are over-served and under-served" as a result. That principle enunciated in the abstract may have lulled the her hearers when she got around to saying that she was going to be shrinking down to one-third size a key destination library, the downtown Brooklyn Heights Library in one of the fastest growing neighborhoods and business districts of the city's fasted growing borough. We said to the city if you give us this kind of money [capital funding], this kind of funding, we'll do our part as well. And we will do the best that we can to use the assets that have been entrusted to us to take care to take care of them, in other words, try and leverage the properties that we have to the full extent. Of All Things To Tell a Municipal Art Society Audience! The Brooklyn Heights library which has been in the press a fair amount recently . . . was built in the early 1960s and it's an aging library that's no longer really doing the kind of job that it should be. There is nobody that I have heard yet who has argued that this is a building which is architecturally important or historically significant. Francis Keally stressed that what was at stake "goes far beyond Washington Square and the Village." He asked his audiances to imagine a New York where a skyscraper had been substituted for the Church of the Ascension, or where the south side of Gramercy Square was built up "to smother the sky." Noting the loss of the Collegiate Church of St. Nicholas, he paints a picture of a New York where Trinity, St. Paul's, St. Bartholomew's, St. Patrick's, and St. Mark's-in-the-Bouwerie have all gone "the same way." Keally's concern about building up on the "south side of Gramercy Square . . . to smother the sky" makes one think of Ms. Johnson's assertion that one good reason to tear down Keally's library to build a tower (perhaps 38 stories) that will loom over Brooklyn Heights from its edge is to "improve the skyline." 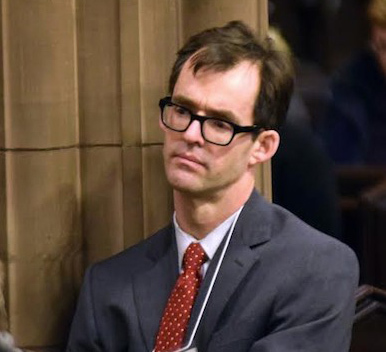 When the first Landmarks Commission was appointed pursuant to the law that Keally had been instrumental in passing, Keally was on Mayor Wagner's nominating committee to suggest the appointments. The commission was appointed in 1962 the same year the library opened. Ms.Johnson posing at the MAS event with Vin Cipolla, a successor as MAS president to Francis Keally, who helped usher in era of preservation. Cipolla that night gave Johnson a platform to advocate for the destruction of Keally's library. Contrary to Ms. Johnson's dismissiveness of Keally's architecture for the design of his second destination library in Brooklyn, both the New York Times and the New York Herald instantly pronounced the library as "handsome" when it opened, the Times saying it was a "clean-lined limestone building of two stories, with book sacks below ground" and the Herald describing it as "limestone-and-red granite." The admired "sculptured figures at the glass-pannled entrance" are "the work of C Spampintato." Landmarks informed BPL that they had completed their survey of our branches and found that we have 8 branches that are potentially eligible for designations as landmarks. The Committee [Capital Planning & Oversight Committee, co-chaired by Sharon L. Greenberger and Alice Fisher Rubin] recommended that in response to Landmark's request to prioritize these branches, the Library will respond that we are conducting a comprehensive analysis of our real estate portfolio and would like to wait on any decisions on landmarking individual sites until the Board has reviewed and approved the findings of the analysis. Ms. Johnson, the BPL and Landmarks have been less than transparent about this. Citizens Defending Libraries (of which I am a co-founder) have requested via Freedom of Information (and basic transparency precepts) the communications between the BPL and Landmarks about these libraries: It is just one of many things the Johnson and the BPL have refused to make public. The Keally library is 63,000 feet of extraordinarily serviceable (and adaptable) square feet. That includes two half-floors of underground space that, similar to the 42nd Street Central Reference Library, were set up to hold books for easy on-the-spot retrieval. Echoing the 42nd Street library, an “automatic conveyor belt” helped deliver books more efficiently. To say that the building is sturdy is an understatement: When it was built, it was built with space set aside for a bomb shelter with the thought that people could go there to be protected against a nuclear attack. The library was built intending to serve all of Brooklyn and, being the only library addressing certain business needs and functions (“the only library in the city” for such needs), was intended to draw patrons not only from all of Brooklyn but Manhattan, including lower Manhattan’s Wall Street right “across the river.” As well as accommodating staff according to earlier, kinder standards the BPL does not now want to meet, the building has rooms used as conference rooms and more rooms that could be similarly used. Its construction involved “special workrooms for business researchers,” including cubicles. Wanting to give the library over to development (secretly since about 2007) the BPL has not adapted or made these spaces available for the kinds of uses the public would likely appreciate. 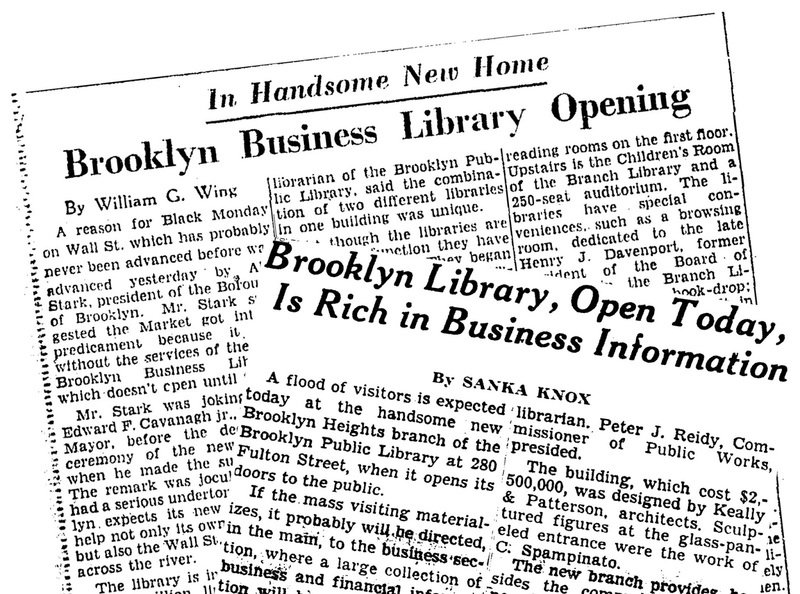 To read more of the articles from which the above quotes come, see New York Times, Brooklyn Library, Open Today Is rich In Business Information, by Sanka Knox, June 1, 1962 and New York Herald Tribune, In handsome New Home- Brooklyn Business Library Opening, by William G. Wing, June 1, 1962. The 1962 library was built using urban renewal to lower the density of this area of Brooklyn Heights and the border of Downtown Brooklyn. That same urban renewal bull-dozing destroyed Walt Whitman’s print shop on Cranberry Street. What remains now is the vague attachment of a name, “Whitman Close,” to some urban renewal townhouses near that spot. While it's strange the way these untethered names can float away from history, there is another example: Johnson told her captive MAS listeners that by selling off the $100+ million* Keally library the BPL hoped to have just a few dollars to spend on other libraries in its system, naming as one of them, the “Walt Whitman Library,” less than a mile’s walk of about 15 minutes away. This citing of other libraries that will supposedly benefit is a divide-and-conquer strategy on the part of the BPL as it tries to push through its destruction of the Keally library. The “Walt Whitman Library,” which is near the Navy Yard serves those living in the surrounding projects who also regularly use the Brooklyn Heights Library to a very great extent. One of the insidious little secrets behind shrinking the Brooklyn Heights Library is that there are those who view the shrinkage as a way of making it a library just for the increasingly upper-crust Heights and disinviting visitors from other neighborhoods who are not desired. See: Tuesday, May 14, 2013, A Consideration of Race, Equality, Opportunity and Democracy As NYC Libraries Are Sold And The Library System Shrunk And Deliberately Underfunded. a model now that we are taking and looking at how we can tweak it to see if there are other examples in the borough which might benefit. Is there any extreme to development that MAS would still oppose? Some, maybe, it seems. 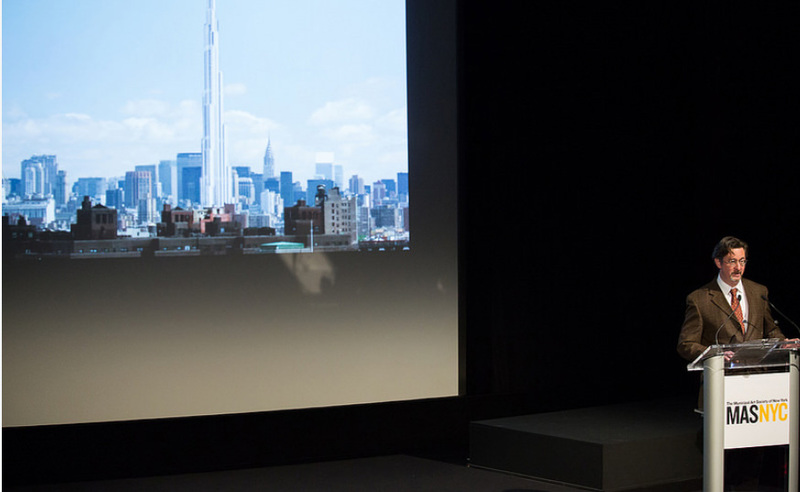 In his presentation that night Justin Davidson asked about super-super tall towers: Who owns the sky? Meanwhile, in discussions, forums and reports that Ms. Johnson has praised as consistent with her aims, the provision of new or better libraries has been described as bait, or `placation,' to induce communities to accept upzonings to accommodate development. Consider for example the Clinton Hill Library. One plan to convert a library into a mixed-use development opportunity that was flushed out after I wrote about it here last August in Noticing New York is a plan for the Sunset Park Library. Ms. Johnson spoke specifically about it next. 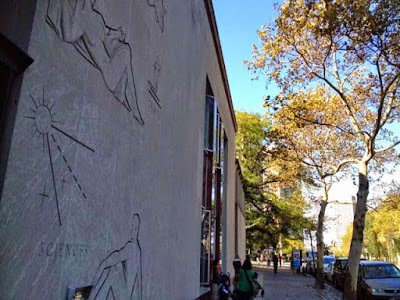 The BPL plans to make the Sunset Park Library. larger, in part because the community demanded it if there is to be any redevelopment. It is planning to make this library on the R Train line 20,600 square feet or bigger, close to the same 21,000 square feet that it wants to shrink the Brooklyn Heights Central Library down to. I’d like to consider that this proposed larger size for the Sunset Park Library is also because of the sunlight and focus that Noticing New York and Citizens Defending Libraries brought to the process. As for what the original redevelopment plans for Sunset Parks were, going back to at least 2009, the BPL won’t release them indicating some embarrassment. Unfortunately, part of what the BPL is doing is saying, divide-and-conquer fashion, that the Sunset Park enlargement will theoretically be paid for out of selling the valuable central downtown Keally library. 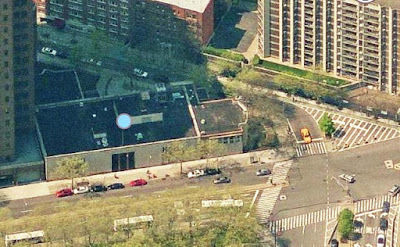 Also, unfortunately, like the Brooklyn Heights Library, the proposed new Sunset Park Library will be in the base of a residential building and can never be enlarged afterward. Involving long closures both libraries are susceptible to bait-and-switch with the BPL already probably underestimating the cost of building the Sunset Park Library. The need for future growth is one reason why, if libraries are ever provided in the future as part of a multi-use development program, they should be in the base of commercial buildings where (unlike residential buildings) the city publicly owns more of the building for future expansion. Population in Sunset Park has recently surged 19%. Upzonings were pushed through not long ago, but building to take advantage of it has largely not yet occurred. 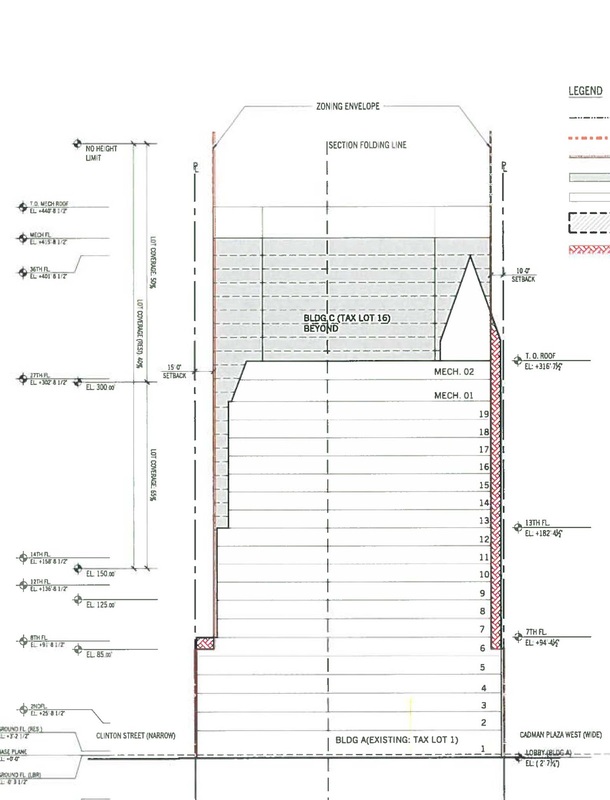 There are new city proposals, essentially additional upzonings, whereby buildings permitted to be 8-stories on Fourth and Seventh Avenues could become ten stories tall if certain kinds of units being considered are provided in the process. Also featured at the MAS annual meeting was Alicia Glen, late of Goldman Sachs, New York City’s Deputy Mayor for Development. Ms. Johnson made reference to Glen’s presence and how redevelopment libraries would be part of the mayor’s plan to provide “affordable” housing units. 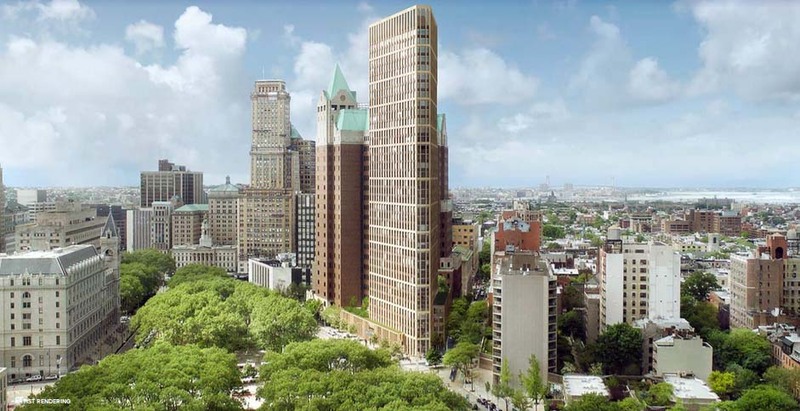 That’s a stated reason for the BPL’s redeveloping both the Sunset Park Library and the Heights Library for 50 units and 114 units respectively, the latter being done “poor door” fashion far away from fashionable, historic Brooklyn Heights. 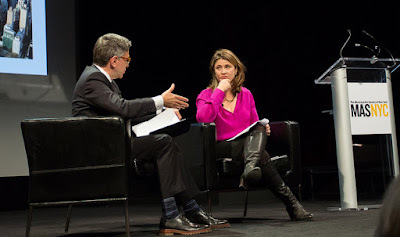 MAS president Vin Cipolla, interviewing Glen that night, similarly proclaimed that MAS was behind the mayor’s focus on full steam development to produce “affordable” units although many others worry about how Mayor de Blasio assured the Real Estate Board of New York that virtually all the rules could be thrown out to make developers happy in the process. That involves throwing out a lot of what MAS fought for in the past. So libraries are, in fact, not only about real estate, but also mostly about the people, about the great work that our libraries do inside the buildings, and about literacy as it relates to our communities in the way we work today. Unchallenged, Ms. Johnson left the appreciably-sized MAS audience with a very skewed view of what she and the BPl are up to. Let’s hope that the MAS audience was far less gullible than Ms. Johnson would like to believe. Addendum (added 6/18/2015): At the Wednesday, June 17, 2015 hearing referred to above, MAS sent a representative to testify in favor of this building (below- more images here) to replace and shrink the Brooklyn Heights Downtown Library made public in an information-dump, ULURP certification 48 hours before the hearing and being described as a 36-story tower in that information dump and the next day by the architect in the New York Times as a "38-story tower."